Vathsalya Charitable Trust is making an important contribution towards strengthening the identity and visibility of internal migrant workers and their families. 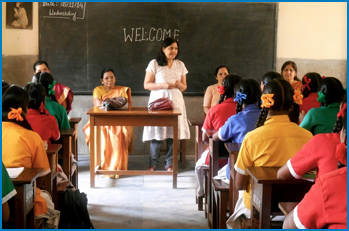 Vathsalya is a Bangalore based non-for-profit focused on community development and capacity building within the local migrant and low-socioeconomic community. Their mission is to ensure a sustainable living environment for migrant and poor families through the provision of nutrition, education, health, vocational and life skills training and counselling services. 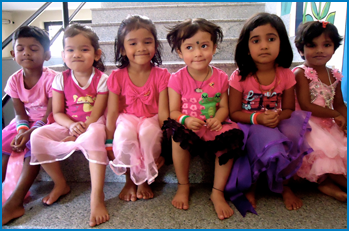 We aim to preserve family by meeting their needs through community programs. We aspire to develop these programs and reach the wider migrant communities of India, bringing awareness and advocacy to this population. To facilitate the creation of an ecosystem for children to flourish within their adoptive and birth families, by leveraging our experience in the areas of family preservation & strengthening. "To look into some aspects of the future, we do not need super computers. Much of the millennium can be seen in how we care for our children today. Tomorrow's world may be influenced by science and technology, but more than anything it is already taking shape in the bodies and minds of our children." 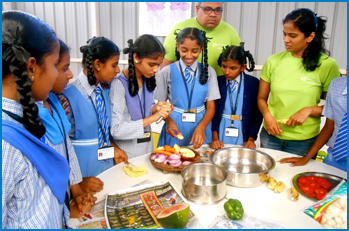 Our trained staff provide regular life-skills training on various topics including nutrition, parenting, child protection, stress management and the importance of education. The audience includes migrant families, parents of children under educational sponsorship..